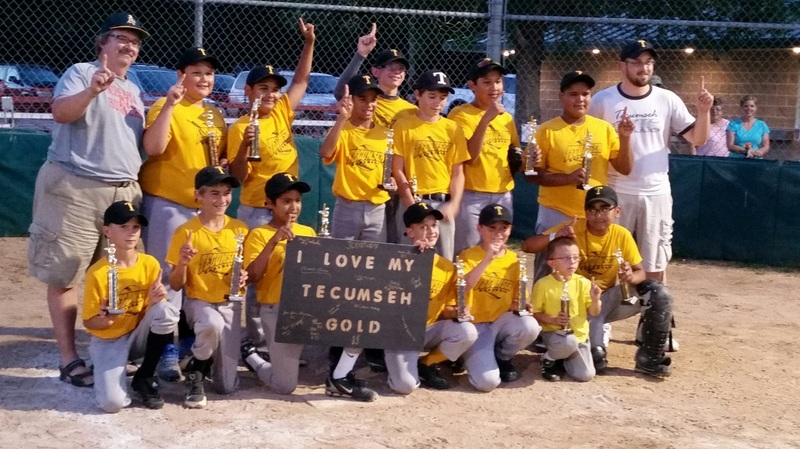 The Tecumseh Ball Association regulates the summer baseball programs for youth in Tecumseh. All Youth are invited to participate for a minimal fee. 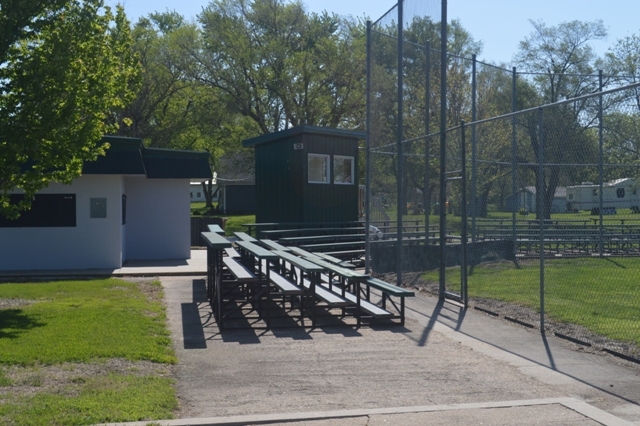 All home games, except Legion, are played on the ball fields at the fairgrounds. For 2017 the youth Baseball is playing in the Cass County Little League. You can link to their website by clicking here. For this reason, the teams are now classified with new "names" to equate to their age groups. The Teams age summary and 2017 schedules are listed below. Back Row, Left to right: Coach Bruce Dalluge, Roberto Barboa, Alex Monárrez, Jon Duncan, Gabe DeFreece, Levi Dorsey, Uriel Cabrales, Aldo Reyes, and Coach Heath McCoy. Front Row, left to right: Lane Othmer, Calvin Antholz, Julio Reyes, Caleb Eggelston, Dalton Berkebile, Jon DeFreece, and JoJo Rodriguez. T-ball - for beginners in the sport. Preferably ages Pre-K through Kindergarten.These teams are still playing in the old league. Coach-Pitch - the next step for ballplayers. Usually includes ages 7-9. These teams are still playing in the old league. Wee Wees - Player pitch team for ages 10 and under as of January 1st of the current year. Pee Wees - for ages 12 and under for the current year as of January 1st. Ponies - for boys age 14 and under as of January 1st as of the current year. Jr. Legion - for boys between ages 15 and 17 as of January 1st of the current year. Click here for the Jr Legion Schedule. Sr. Legion - for boys over 17 and not yet 20 as of January 1st of the current year.